There is no set age at which individuals should consult an estate planning lawyer in Tracy. Many people only begin to think about estate planning when they encounter a major milestone in life, such as starting a family, buying a home, or starting a business. Others only begin to consider estate planning after they have been diagnosed with a serious illness. However, you can consult an estate planning attorney at any time. In fact, it’s advisable to develop an estate plan sooner, rather than later, since catastrophic events can strike at any time. You can learn more about the importance of estate planning by watching this video. This expert warns viewers what will happen if they lack an estate plan and highly recommends consulting an attorney for in-depth legal guidance. Countless individuals suffer injuries and property damage each year because of careless, reckless, or drunk drivers. Unfortunately, it isn’t in the insurance companies’ best interests to justly reimburse victims of car crashes, which is one reason why it’s essential to retain the services of a personal injury lawyer near Manteca. Your personal injury lawyer will serve as a powerful ally to help you obtain the compensation you deserve. Although a car crash is a distressing situation, it’s important to try to remain calm. There are a number of steps you must take to protect your legal rights after a collision . First, however, consider whether oncoming traffic could strike your vehicle. If possible, move your vehicle away from the path of other vehicles. Check yourself, your passengers, and the other driver for serious injuries. Once you’ve determined whether someone might need an ambulance, call 911 and provide the information requested by the emergency dispatcher. Then, if you aren’t sure what to do next, you can call a personal injury lawyer for guidance. Your accident attorney can inform you of the information you need to exchange with the other driver, such as names, contact information, and insurance information. Additionally, write down the driver’s license number, license plate number, make, and model of the other vehicle. Write down the names and contact information for any passengers and other witnesses, if applicable. When police officers arrive on the scene, write down their names and badge numbers, and obtain a copy of the police report. Your personal injury lawyer can use the information you collect along with your explanation of what occurred to demand compensation on your behalf. However, it can be helpful to have physical evidence to substantiate your claim. If possible, take pictures of the crash site, the damage done to both vehicles, and any injuries. Your personal injury lawyer can provide invaluable assistance with your insurance claim. He or she can coach you on what you should and shouldn’t say to the insurance representative, and your lawyer can negotiate with the insurance company on your behalf. In some cases, an accident attorney may file a personal injury lawsuit on behalf of car crash victims. Premises liability is the concept that an individual who is responsible for property is also responsible for injuries that may occur on that property. In other words, if you slip and fall due to unsafe conditions in the lobby of an apartment building, you can work with a personal injury lawyer near Livermore to demand that the property owner or manager be held liable for your injuries. These types of cases are commonly referred to as slip and fall cases. 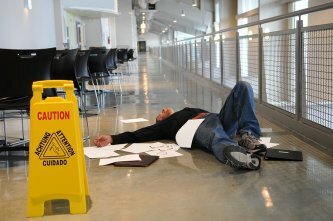 Proving liability, or fault, in a slip and fall case can be complicated. You can turn to a personal injury lawyer for guidance on applicable laws. There are a few ways in which your personal injury lawyer might prove to the court that the property owner or manager should be held liable for your losses. Your injury lawyer may present evidence that demonstrates the defendant knew of the dangerous condition, yet failed to address the situation. Or, the property owner should have known of the dangerous condition. Since this can be quite difficult to prove, the court will consider whether any “reasonable” individual in the same situation would have been likely to know of the dangerous conditions. Less commonly, your personal injury lawyer might present evidence that suggests the defendant or an employee of the defendant caused the dangerous condition and failed to fix the situation before you suffered an injury. Establishing the “reasonableness” of a property owner can be complicated. The court will consider whether there is any evidence that demonstrates the property owner regularly and adequately attempted to keep the property safe. For example, the court might consider whether the property owner has maintenance logs that demonstrate regular procedures for property upkeep. The court may also consider the length of time that the unsafe condition was present. For example, you might slip and fall in a puddle of spilled coffee in a diner. If another patron spilled the coffee only minutes before you fell, it might be argued that the property owner does indeed take reasonable safety precautions. However, if the coffee spill had been on the floor for a few hours, the property owner or the employees are much more likely to know of the problem and to be held liable for your injuries . A personal injury lawyer near Tracy can handle a broad range of cases, including auto accidents and attacks by dogs. If you’ve suffered an injury and you believe it may have been the fault of another party, you can consult a personal injury lawyer to discuss your legal options. For this type of case, your injury lawyer will need to prove that the defendant should be held liable for your injuries. Additionally, he or she will need to provide evidence of the nature and extent of your losses. Quite often, however, attorneys can negotiate a favorable settlement for plaintiffs before the case goes to trial. The majority of personal injury cases in the U.S. result from car accidents, truck accidents, and motorcycle collisions. Bicycle accidents and cases in which pedestrians are struck also form the basis for many personal injury lawsuits. 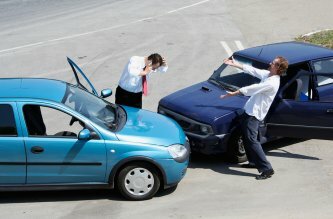 Often, a lawyer can assist the victim of a crash by negotiating for a fair settlement from the auto insurance company. At other times; however, a personal injury lawsuit is necessary to justly compensate the victim. A lawyer can also represent the family members of an auto accident victim. In the event that a victim lost his or her life in the crash, the lawyer can file a wrongful death lawsuit on behalf of the surviving family members. Compensation from a jury award or settlement deal can pay funeral expenses and medical expenses. Even a well-trained, mild-mannered dog can bite. 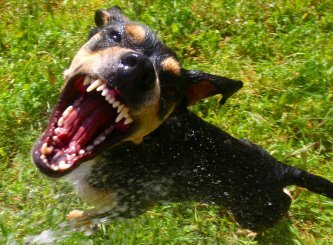 Dogs often attack because they feel threatened, because they’re hurt, or because they’re trying to protect something or someone. Dog bite cases are complex and often hinge upon where the attack took place, such as whether it was on the owner’s property or in a kennel. If you’ve been attacked by a dog, it’s imperative to work with an attorney who has experience handling these types of cases. Slip and fall cases can also be complicated. An individual may slip or trip and fall on a public sidewalk, inside a private building, or inside a retail establishment. A personal injury lawyer can investigate the case thoroughly to determine which parties may be held liable for the accident. This may include property managers or building owners, for example.